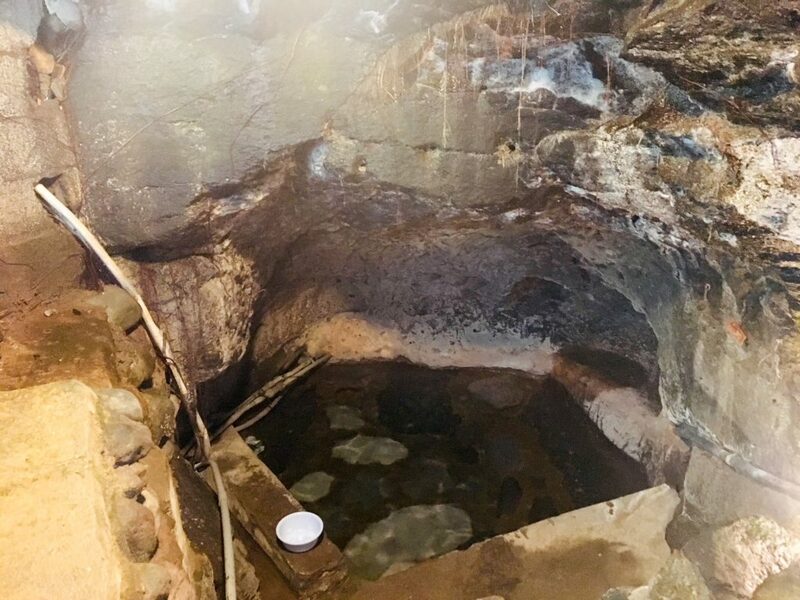 Oita’s secret mixed-gender onsen in a cave! 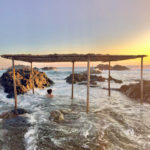 Admiring the colorful Hells of Beppu and “bathing” in sand are fun must-do’s when in Oita Prefecture, but there is even more exciting — and cavernous — onsen (hot spring baths) to discover. 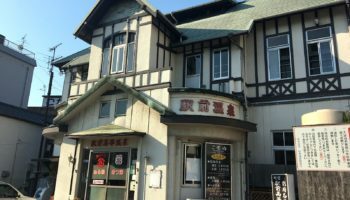 As you drive through the mountains in the western part of Oita, a prefecture in Kyushu well known for its prolific onsen culture, you will encounter tens of local hot spring inns along the route. Among them is Kabeyu Hot Spring, the rarity of a hot spring in a cave. 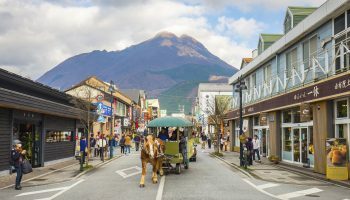 Used by locals for about 300 years, it and a few surrounding onsen are a chance to take advantage of the remoteness of this place, unpolluted by touristy crowds and urban noises. What makes it even more unique is that it’s a mixed-gender onsen. 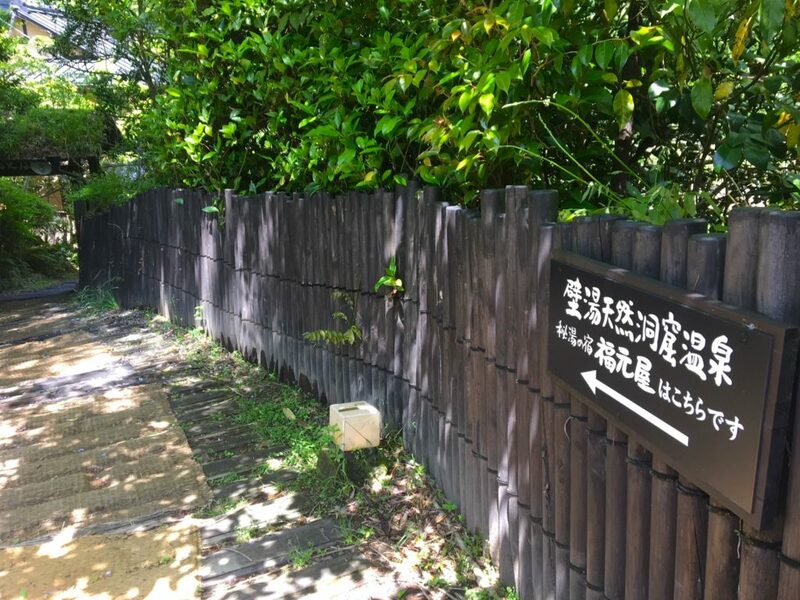 Once you arrive, you first need to pay the entrance fee at the local Japanese inn — Ryokan Fukumotoya — before walking down the stairs to the cave. There is a split road near the entrance of the hotel and you will need to take the left one to reach the warm spring sized for about 10 people. If you take the right road instead, you will find a showering facility that you can use for an extra couple hundred yen. Only a few steps down and you will see a dark, deep bath dug out of a cave. The wall of rocks is an impressive and truly unique structure made by nature. This is where the name kabeyu is derived from, which literally means “hot spring of wall.” The hot spring water flows through the cracks in the rocky wall. The bath itself is not as hot as other onsen and quite deep, which makes it easy to soak for a long time. In fact, the smooth alkaline waters are believed to have pain-relieving powers if you stay in for more than an hour. The long soak after a tiring day can prevent muscle pain and will even make your skin smooth. Next to the main bath is a small gate that leads to a smaller bath, which is also a mixed-gender and lukewarm. Feel free to lie down and appreciate the slow, peaceful flow of the river directly in front of you. This spot is particularly spectacular with autumn foliage and popular in summer for fishing lovers. Photo by: Cara Lam An alternative bath. If you’re a bit shy, opt for another cave bath in a building just above the main bath. To enter that bath, however, you will first go through an enclosed changing area with lockers and baskets. This bath may feel a bit hotter than the other two baths, and the fact that it is more indoor gives it a complete cave ambiance. 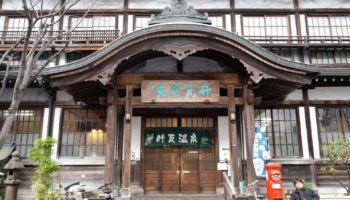 There are no English signs in the area, so in order to find this place, you will have to look for a big wooden sign with these Japanese characters:“壁湯温泉 福元屋”, which signals to go to the hotel to enter the onsen. Near Kabeyu Onsen, there is also the Sendo Waterfall (locally known as Sendo no Taki). Before it became a tourist attraction, this waterfall could only be accessed by hunters in the past. 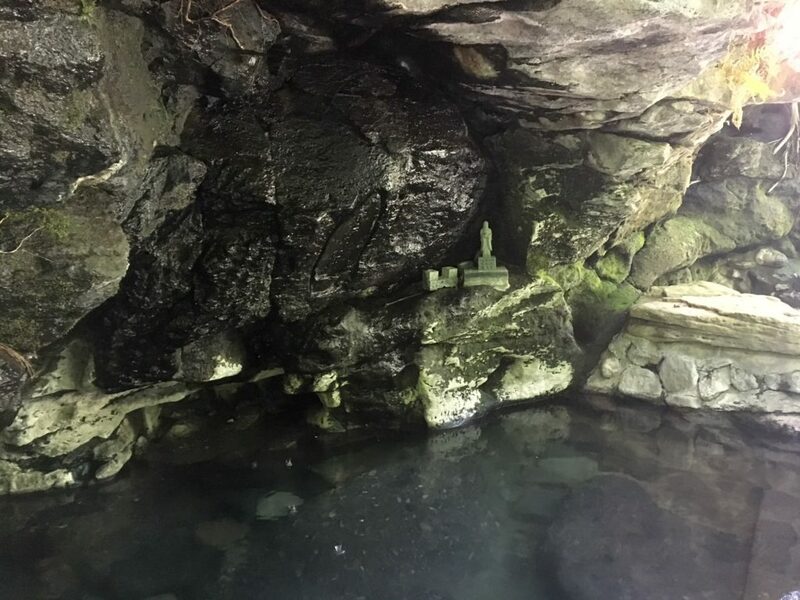 The waterfall and hot spring are connected through a local legend about a beautiful immortal woman. 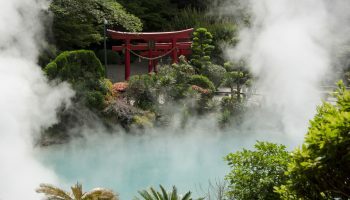 Locals believe that the woman created the hot spring so she could purify herself. Thus, after purifying Kabeyu Onsen, she returned to the Sendo waterfall. 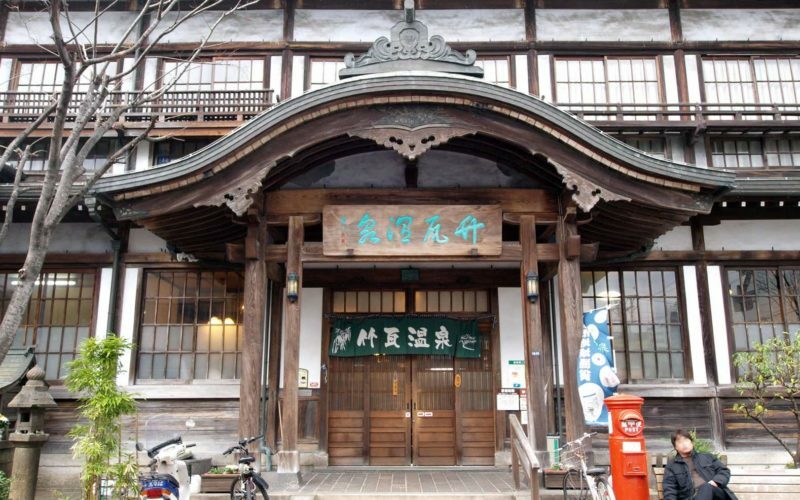 Thanks to this legend, Kabeyu Onsen is also known as Sendo no yu (Sendo hot spring). 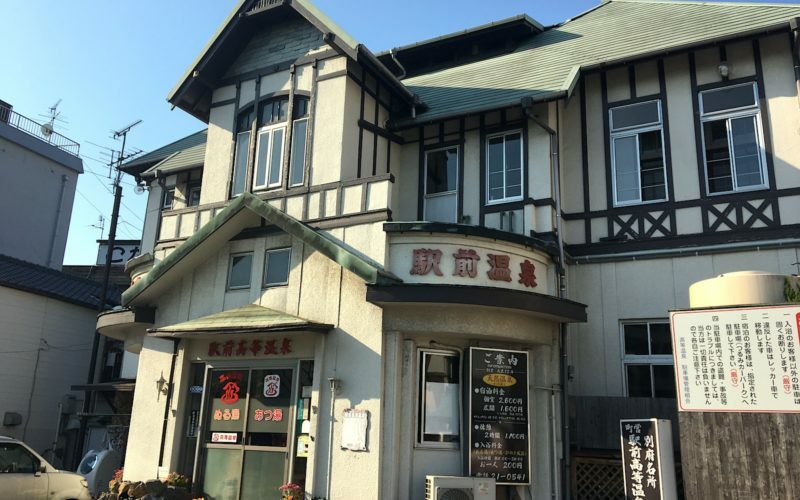 For tips and rules about mixed-gender onsen, check out our GaijinPot Blog on konyoku onsen. While Kyushu is famous for some unique cuisine and craftsmanship, it’s also known for its abundance of ancient "au naturel" soaking in spots! There is no barrier for genders in the mixed-onsen. The changing area — for both gentlemen and ladies — is only a few lockers and baskets; and there is no showering facility besides the one previously mentioned. Ladies, you are welcome to wrap yourself in a bath towel (of course, nakedness is completely fine). Gentlemen, you’re free to do the same but most local male visitors don’t even bother covering themselves. The hot spring is open every day, from 9 a.m. to 9 p.m. In order to enter, adults will need to pay a ¥300 fee and children a ¥150 fee. Take the JR train on Kyudai Main Line to Bungomori station. If you’re staying overnight at the hotel, you can arrange to be picked up by the hotel at Bungomori station in advance. If you’re staying overnight at the hotel, you can arrange to be picked up by the hotel at Bungomori Station in advance. 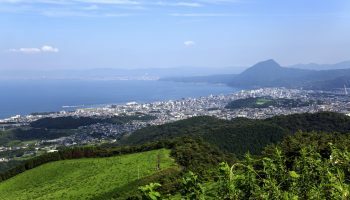 From Bungomori station, you can hop on a 20-minute bus ride to get to the hot spring. Get off the Kyushu Expressway at Tosu Junction and enter Oita Expressway. Exit at Kokonoe Interchange then enter national route 210 towards Housenji. Finally, turn left to merge with route 387 for about 10 minutes. 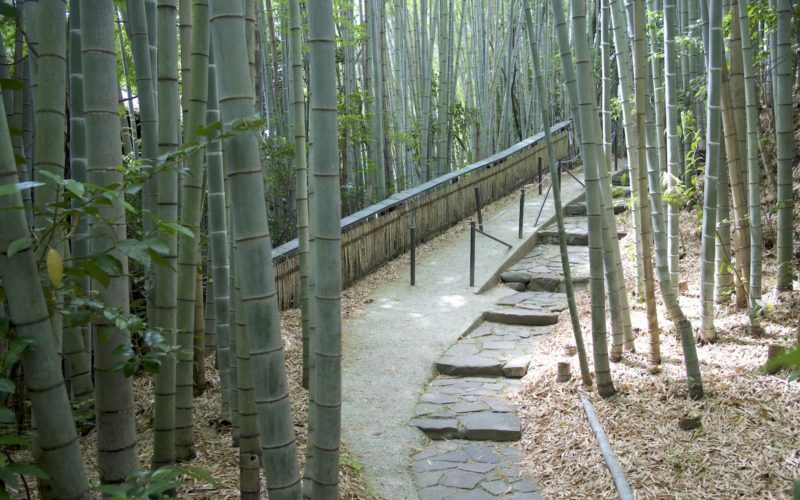 Hidden in a bamboo grove, your Japanese basket of goodies awaits.